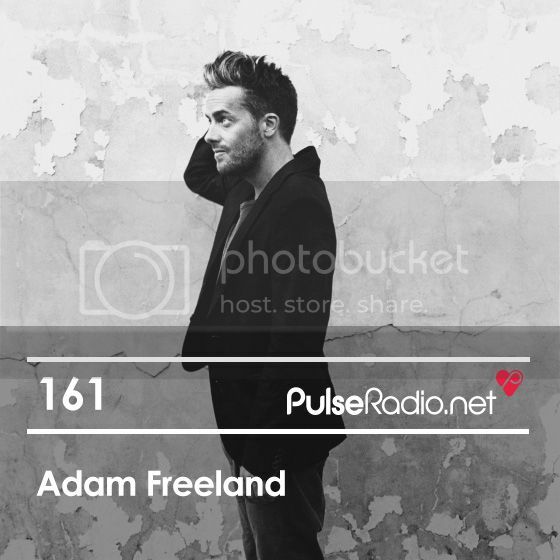 Adam came to worldwide attention in the early 00s as one of the key figures in the UK breaks genre, though as any DJ with a musical knowledge as extensive as his, it's a tag he's justifiably quick to dimiss. You never really know what to expect to hear at a Freeland gig, or even in a new mix, and we must admit we were pleasantly suprised by his set at last year's Kazantip festival, so much so we heralded it as one of our top mixes of 2013. We caught up with Adam whilst in Australia this summer to find out about what he's been up to and of course about the mix he's recorded for us, subtitled 'A mode of dust suspended in a sunbeam' (Q&A below). Pulse: Tell us about the mix. How did you decide to approach it? Adam Freeland: I never really know the approach unitl I just start throwing stuff at the wall and seeing what sticks. Musically: I like juxtapositions between the more angular, jacking, acidy stuff with deeper melodic stuff side by side, so it weaves in an out of beautiful and jacking. If you haven't heard my mixes in the last few years, it's probably not what you'd expect. Thematically: I like to put some kind of narrative to my mixes. If you listen to the 'Indefinable Mysterious Power' or 'Train to Berlin' mix for example on my Soundcloud, there is some kind of spoken word thread which ties the theme together. In this case I came across the James Tee track which had a Carl Sagan quote in it. Sagan has been a big influence in my life so it seemed like a good excuse to weave some of his quotes into the mix. You mentioned that mixes take you a while to put together. Are you picky about the tracks you like to put in a mix? Not being part of any 'genre' per se, most of the tracks I play are kind of accidental tracks which are a bit leftfield for genres from which they came. So a lot are techno b-sides or deep house guys doing something different than they usually would, or weird electro stuff that can fall through the gaps. I'm extremely picky about what i play - I feel there is so much disposable stuff out there which people play because it's new rather than because it's good. Since my first mix CD release in 96, I've always approached mixes as something I'd still be proud of in years ahead, so it takes me a lot of hunting to accrue a body of music which I'm excited about. Which is also why I'm not very prolific! You've been in Australia finishing up the first EP of your new project The Acid. Tell us about it, how did it come to be? Actually we finished the EP and album last year. I've been up here near Byron Bay rehearsing with the band for the upcoming live shows in Europe. I met Ry(X) years ago in LA, we talked about working together but the timing wasn't right creatively and we lost touch. Then we bumped into each other again at a mutual friend's birthday and he had just done the 'Howling' track with Frank Wiedemann. We had both been through similar recent personal metamorphoses and taken time out from what we were doing to re-align our internal landscape and it felt like the right moment to try something. We went into the studio with Steve and it felt like magic flowed. All the music wrote itself very quickly. You recently played Kazantip. Is the festival as crazy as people say? It's great. It's definitely got a very unique vibe. Mainly as the Russians and Ukrainians approach their club culture with a different headspace. I don't think it's 'that' crazy, but I'm comparing that to Burning man. and after years of going there, crazy is all relative. Electro, techno, slow juke and some unreleased cuts from the Bromance affiliate. The Hamburg duo step up for Pulse.144.